Pay equity has been on the political agenda of the women's movement in Canada for at least twenty-five years. In that time, political action by women and the labour movement has culminated in pay equity laws in six of ten Canadian provinces. Despite this, a gender-wage gap continues to exist. Why hasn't pay equity law resulted in better pay for women? Why does the gender-wage gap continue to exist? Is pay equity law an effective tool for eliminating workplace practices that contribute to gender-wage inequality?Cashing In On Pay Equity? 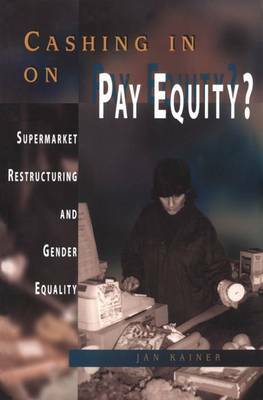 explores these questions through an in-depth study of pay equity implementation in Ontario's supermarket chains during the 1990s, a period of workforce reorganization for the retail food sector. Despite union representation and pay equity legislation that had the potential to deliver gender-wage fairness, gender-wage inequities remained following the pay equity exercise. Intense industry competition, economic restructuring and business unionism worked to prevent a more favourable pay equity outcome.Nonetheless, Cashing In On Pay Equity? argues that pay equity legislation has the flexibility to win economic justice for women.